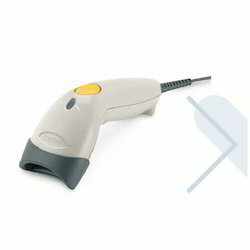 Our product range includes a wide range of zebra symbol handheld scanner. In order to append and respond to the diverse demands of clients, we are able to offer Symbol Handheld Scanner. The offered range of Symbol LS1203 hand-held scanners is designed for lessening data entry errors and improvise the productivity day in & out in gift shops, boutiques, sporting goods, jewellers, video stores, florists and other small local retailers. These products are also known for rendering reliability and investment protection. Looking for Symbol Handheld Scanner ?